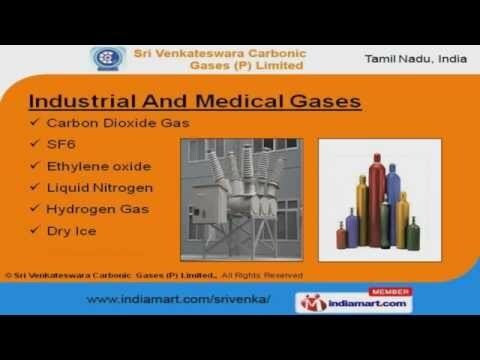 Welcome to Sri Venkateshwara Carbonic Gases (P) Ltd. Manufacturer of Industrial GasesThe company was established in 1997 as a private limited company. Our Manufacturingunit is equipped with latest machinery & we ensure Environment Protection Policy. Ethical business policies, Strong relationship with our clients & After-sales services arethe reasons behind our success. We offer a wide array of Gas Cylinders, Medical Gases & Industrial Blasting Machines. Our Industrial & Medical Gases are extremely reliable. We also provide Agron & Helium that are highly effective. Lazer Mixture & Carbon Monoxide offered by us are a class apart. Our Gas Cylinders And Regulators are widely acclaimed in the market. Along with that we offer Industrial Blasting Machines that are well known for theirimpeccable performance.